The Coalition for Community Solar Access, a national coalition of businesses and non-profits working to expand community solar, has launched a new Community Solar Job Portal. The portal features a wide variety of job openings from companies across the country and provides job seekers a single destination to find job opportunities in the fastest growing sector within the solar industry. 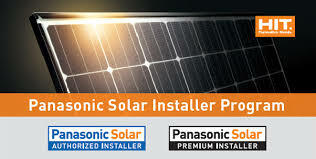 Panasonic Eco Solutions, home of the HIT solar panel, is aggressively building out its residential solar installer network on a national basis, seeking to compete more evenly with the likes of Tesla, SunRun, SunPower, Vivint and others. The company has forged new strategic relationships with residential solar installers in Colorado, Florida, Illinois, Indiana, Minnesota, and New Mexico, adding to its already sizable operation. Community choice aggregators in California have now signed over 2 GW of power purchase agreements for renewable energy projects, with 1.4 GW in 43 projects coming from solar power. As the second-largest operator of self-storage properties in the United States, Extra Space represents a serious commitment to solar in the corporate sector. 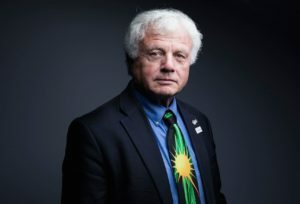 Constellation and Enel Green Power sign energy deal with Starbucks, News Release, PV Magazine. Agreement will power more than 340 Starbucks-operated stores in Illinois with 100 percent renewables. What Changed In The Solar Energy Industry In September & October? Also by CleanTechnica: What Changed In The EV Industry In September & October? 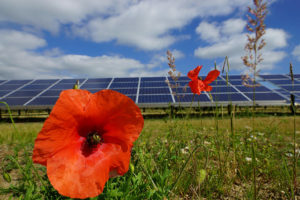 This entry was posted in NewsBlog and tagged 100% renewable energy news, CCSA's Community Solar Job Portal, Coalition for Community Solar Access (CCSA), corporate renewable energy purchasing, energy storage, Investment Tax Credit (ITC), Panasonic Eco Solutions, renewable energy news, solar energy jobs on November 29, 2018 by Helen Deffenbacher. 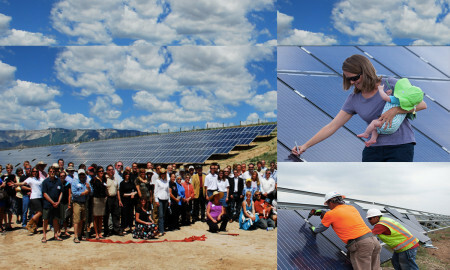 Momentum for development of community solar programs nationwide is growing, aided by the release of new resources from the Coalition for Community Solar Access (CCSA), a national coalition of businesses and non-profits working to expand access to solar for all. With programs in 17 states and hundreds of local utilities, community solar can play a critical role in the national transition to a cleaner, more resilient, job-creating distributed energy system. CCSA is [recently released] new model state legislation for community solar and an updated Policy Decision Matrix to guide policymakers in designing community solar programs tailored to their state. 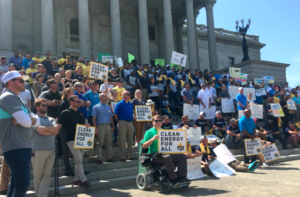 CCSA also partnered with Vote Solar to host the first ever Community Solar Bootcamp this month, and announced the hiring of a new full-time Policy Director, supporting the organization’s expanded efforts to accelerate community solar access across the country. “Community solar is one of the most promising sectors of the national clean energy industry, but we need consistent policies and regulations to ensure the industry can grow at the pace needed to meet consumer demand nationwide,” explained CCSA executive director Jeff Cramer. Read more here. This entry was posted in Community-Scale Solar, NewsBlog and tagged Coalition for Community Solar Access (CCSA), Nebraskans for Solar on December 21, 2017 by Helen Deffenbacher. While 15 states and the District of Columbia have policies to support community solar, each policy is structured differently and many, when put into practice, have not driven growth. As a result, only five states have active markets. 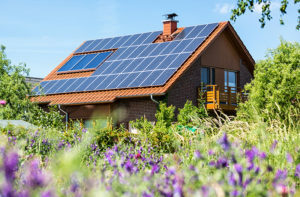 To rectify this, experienced developers in the Coalition for Community Solar Access (CCSA) put together a report that aims to help policymakers design community solar programs. Read more here. Download Community Solar Policy Decision Matrix: Guidance for Designing Community Solar Programs here. Tesla expands in Colorado with two new stores in the Rocky Mountains ahead of the busy ski season, Electrek. Tesla is pushing forward with its goal to open one new retail location every four days until the end of the year with two new locations coming to Colorado next week. The company confirmed today that they will inaugurate two new showrooms in Aspen and Vail. 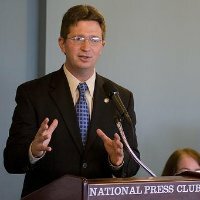 This entry was posted in Community-Scale Solar, NewsBlog and tagged Chicago Tribune, Coalition for Community Solar Access (CCSA), community solar, Electrek, Greentech Media, Nebraskans for Solar, Newsweek, Solar Industry Magazine, Tesla, Utility Dive, WBAA News on December 17, 2016 by Helen Deffenbacher. 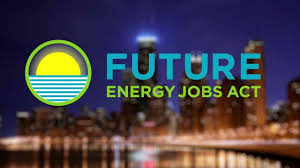 Midwest Energy News Commentary, by Jeremy Kalin, CEO of Minneapolis-based Eutectics, whose mission is to mobilize capital in underserved and untapped clean energy markets nationwide. The economics of solar and energy efficiency remain as strong today as they did before Election Day. Even rumored major tax reform cannot roll back the strong value proposition for clean energy. Solar projects continue to “pencil-out” for business owners, public buildings, affordable housing properties and individual homes. LED lighting will continue to be a “no-brainer,” with a solid return on investment. Clean energy progress happens out in the community – not in a politician’s office. And we know that clean energy is good business, exceeding $44.7 billion in investments in the United States last year, according to Bloomberg New Energy Finance. This entry was posted in NewsBlog and tagged Coalition for Community Solar Access (CCSA), GreenBiz, Midwest Energy News, Nebraskans for Solar, Solar Power World, The Gazette, Utility Dive on November 16, 2016 by Helen Deffenbacher. Residential Consumer Guide to Community Solar. The new guide provides consumers with an overview of community solar, expert tips on how to be an informed consumer, questions solar consumers should ask before entering into an agreement and handy links to other resources. Click to read more. 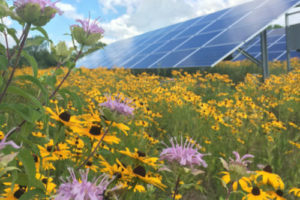 This entry was posted in Community-Scale Solar, Nebraska / Midwest News, NewsBlog and tagged Coalition for Community Solar Access (CCSA), community solar, Nebraskans for Solar, Solar Energy Industries Association (SEIA) on July 3, 2016 by Helen Deffenbacher.